Packing a shipping container is an important stage in the organization of cargo transportation. This is especially important if you are leaving Japan since you are most likely to send your things by sea. The state of the cargo when it arrives at its destination directly depends on how well you pack the cargo. In addition, weather conditions have a huge impact. Air temperature, its fluctuations from low to high and vice versa, humidity level, etc. Without special protection, they can worsen the quality of cargo or even completely ruin it. That is why the packaging is so important. It cannot completely protect the cargo from damage, but minimize the risks and significantly reduce the possible damage from transportation. 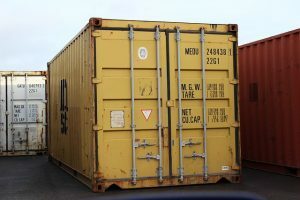 What do you need to consider when packing a shipping container? Type of transported cargo: dangerous, liquid, perishable, etc. Load properties: brittleness, moisture sensitivity, the presence of sharp corners and cutting objects, the tendency to deformation, etc. Weight and dimensions of the cargo. Weather and climatic conditions: temperature, humidity, solar activity, season, etc. The choice of transport packaging depends, as already noted, on many conditions. But at the same time, there are several general requirements for it and the principle of packaging. Packaging should be made of sufficiently strong and stable materials (wood, plastic, etc.). It should not have any damage – chips, cracks, holes, etc. In order for you to start packing a shipping container, it must be dry and clean. There should be no traces of the previous marking on it. All signs should be relevant for the cargo that is in it at the moment. The size of the container must correspond to the dimensions of the cargo. You must pack the cargo as tightly as possible, and fill all voids with a special protective material. You must pack possibly dangerous goods in certified containers. Valuable goods you should seal, and the number of the seal you should put in the documents. Packaging for goods requiring cooling or ventilation, should be with special gaps. In some cases, you should wrap the container with special materials (stretch film, adhesive tape, bubble wrap, etc.). What you need to consider when packing a shipping container, is that the packaging will change its mass and dimensions! It can be a few extra millimeters and grams, but also tangible centimeters and hundreds of grams (if the container is metal). That is why it is necessary to measure the dimensions and weight of the cargo twice. Before packing in order to choose the right packaging. And after to avoid situations when the packed cargo does not fit in, or exceeds the permissible values of mass. Rigid packaging is usually made of wood and is used for fragile and breaking loads – glass and ceramic products, household and office equipment, optics, medical goods, etc. The most common are such options as crate and pallet. 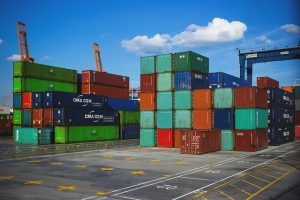 What is still important to keep in mind: rigid packaging significantly increases the dimensions of the cargo, and hence the cost of its transportation. Semi-rigid packaging includes cardboard boxes, barrels, canisters, other containers for liquids, etc. You should seal the containers securely and, as a rule, place them in cardboard, plywood, plastic boxes. Cardboard boxes, are mainly there to protect the cargo from moisture, dust, dirt, as well as spillage. They are best for soft toys, dishes, tobacco products, etc. And they usually serve as an intermediate packing. Soft packaging – this is paper, fabric, different types of film (stretch film, bubble wrap, black wrap), etc. Most often they serve as an additional measure. The film, for example, is for wrapping the already packed cargo for better protection and depreciation. The bag (it also refers to soft packaging) is for bulk goods, as well as those that are not prone to deformation (clothing, printed and textile products …). It is made of moisture-resistant polypropylene and the only thing it requires is a fixation with a plastic seal. An improved modification of the bag you can call a big bag. This is also a bag, which, however, has special slings, greatly simplifying the loading and unloading operations. By the way, unlike hard, soft packaging used alone does not significantly affect the dimensions and weight of the cargo. You should wrap sharp objects separately in a dense cardboard, while closing the sharp ends. And you should place them in a box so they don’t touch each other and the walls of the container. When it comes to liquids, you need to pour them into bottles, cans, barrels, canisters, etc. Then you need to hermetically seal them and place them in boxes. Those boxes should have wood chips or a special soft filler for cushioning. Fragile objects you should individually pack in a soft wrapping material. Then you should place them in a rigid container with cardboard partitions and cells for each product to exclude their contact. Bulk goods you should transport in waterproof bags, which you then store in a container for better safety. Household equipment, being in the original packaging, should be in a container or a box of solid material that can protect the cargo from mechanical stress and weather. Medicines and cosmetics should be in containers, cardboard or wooden boxes that do not allow moisture to enter, but help maintain the temperature. And what to do after you pack the shipping container? 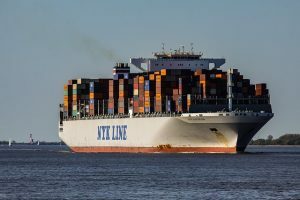 What is the next step after packing a shipping container? Well, that’s easy. Simply hire sea freight forwarders, and don’t worry anymore. With a reliable company, such as Kokusai Express Japan, you can be sure that your things will arrive at their destination safely.